Nutrition facts labels on food packages are getting a long-awaited makeover. Calories will be listed in bigger, bolder type. A new line will be included for added sugars. Serving sizes will be updated to make them more realistic. A small bag of chips won't count as two or three servings, for example. First lady Michelle Obama is expected to announce the final rules for new labels in a speech May 27. It will be part of her "Let's Move!" campaign to combat childhood obesity. The changes were first proposed by the Food and Drug Administration two years ago. They are the first major update of the labels since they were created in 1994. The labels are now found on more than 800,000 products. "This is going to make a real difference in providing families across the country the information they need to make healthy choices," the first lady said in a statement. The overhaul comes as the science has changed in recent decades. Fat was the focus in the 1990s when the labels first were created. Now there is more concern about how many calories people eat. The calorie listing will now be much larger than the rest of the type on the label. That will make it hard to overlook. Serving sizes will also be easier to see. They will be listed at the top of the graphic. And it will be easier to determine how many servings are in a container, part of the attempt to revise long-misleading serving sizes. Calculations for serving sizes will also be revised. The idea behind listing a whole package of food, or a whole drink, as one serving size isn't that people should eat more; it's that they should understand how many calories are in what they are actually eating. The FDA says that by law, serving sizes must be based on actual consumption, not ideal consumption. Nutrition advocates have long asked for the added sugars line on the label. That is because it's impossible for consumers to know how much sugar in an item is naturally occurring, like those in fruit and dairy products, and how much is added by the manufacturer. Think an apple vs. applesauce, which comes in sweetened and unsweetened varieties. Another change to the labels will be the introduction of levels of potassium and Vitamin D. They are two nutrients Americans don't get enough of. Vitamin C and Vitamin A listings are no longer required but can be included. Iron and calcium will stay. The food industry has two years to comply. Reaction to the labels from food companies has been mixed since they were first proposed. Some companies have fought the new line for added sugar. Others have supported it. 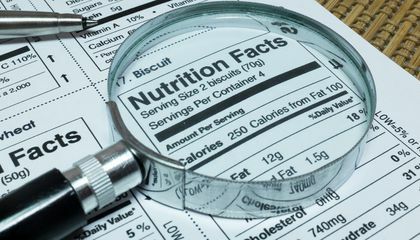 The Grocery Manufacturers Association, which represents the food industry's largest companies, has supported the larger print for calories. Why will the change in “serving size” help people know the impact of the food they eat? The change in serving size, which is that, "Serving sizes will also be easier to see. They will be listed at the top of the graphic. And it will be easier to determine how many servings are in a container, part of the attempt to revise long-misleading serving sizes." People often do not pay attention to portion sizes and therefore eat a greater amount that the serving size, ending up consuming more calories and fats then they realize. A change in the size of the 'serving size' can help people become more aware of what they are eating. I liked this article. In a science Olympiad event called food science I had to analyze food labels so I think it is interesting how they are changing them. Food labels are not rally important to me. But, to others, it probably is. They want to know things that will help with their nutrition, what will be sufficient, and what will be insufficient. I don't really worry a lot about my nutrition, but I think that I should start looking at what I should eat and what I shouldn't. The new food labels are a good change that will be better for some people. Critical Thinking Question Answer: The change in serving size will help people know the impact of the food they eat, because they will see if it is too much or too little. By changing the serving size, people's calorie intake will be more accurate. Most of the time people do not eat the set serving size considering it's so small, however they believe they're not eating as many calories considering the calorie count is determined by the serving size. So now with a change serving size, people will realize how many calories there and eating. I found this artical intresting because I do read about how many calories are in a serving and I have always thought it was ridiculous how small seven says it's can be. it will help people because it will notify them to look at how many calories they are eating per serving size so they can watch there weight and there health. The food labels would soon be changing in which it would help people know the impact of the food they eat which they would be changing that would be able to add the things that are going to be new to the label. The labels on the food that people buy would be seeing new things that had been added to each of the food labels that people would be seeing on the food label on each product that people buy. Food labels are most likely wanted to be changed so that people wouldn't be seeing the same thing on the food labels that people would always be seeing when buying food. Critical Thinking Question: Why will the change in "serving size" help people know the impact of the food they eat? Answer: I know that change in serving size help people know the impact of the food they eat is that they would be able to buy more of the food with the new thing added to the food label. The change in "serving size" will help people know the impact of the food they eat because the companies will change the serving size to add more realistic sizes they are consuming, but they didn't know that they were eating the wrong amount of food before. The people that read the serving size, "will also be easier to see. They will be listed at the top of the graphic. And it will be easier to determine how many servings are in a container, part of the attempt to revise long-misleading serving sizes. Calculations for serving sizes will also be revised." (Paragraph 6-7, Darlene Superville and Mary Clare Jalonick) This shows that with the accurate serving size, the people that read it can actually live healthier, based on their new accurate sizes. This article is interesting because food labels, out of all things, are getting updated. They could've updated different things, such as buildings. What shocked me the most is, serving sizes are getting updated! The change in serving size, which is that, "Serving sizes will also be easier to see. Most people dont eat the normal recommended size for food. Usually they just make how much they will eat. I think most people should read it before they just make it. I think this article is interesting because it shows people new ways to comprehend serving size. I think they should have not changed it in the first place. I think, this is a great article as it is informative when it comes to talking about the changes in food labels there will be. 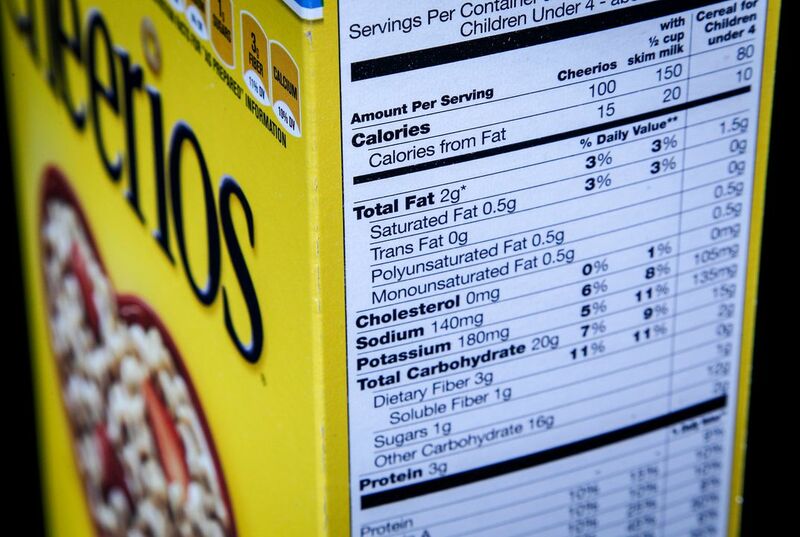 There are many changes being brought upon Nutrition Labels on your food packages. For example,. "Serving sizes will be updated to make them more realistic. A small bag of chips won't count as two or three servings, for example." The First Lady, Michelle Obama, wants to change the labels as part of her "Let's Move" campaign to help reduce childhood obesity. People say,"The idea behind listing a whole package of food, or a whole drink, as one serving size isn't that people should eat more; it's that they should understand how many calories are in what they are actually eating." I found this article interesting because when looking at the nutrition labels I will know how many calories I am actually taking in, rather than wondering how much is in their so-called serving size. The change in serving size will make people aware of how much food they are putting into their body. For example, as the article states, "A small bag of chips won't count as two or three servings". I found this topic interesting because I always find myself reading the labels on food, and some serving sizes just aren't very realistic.